Celebrate Peru's Independence Day 2010 With Pisco! Next week is Peru's Independence Day on Wednesday, July 28, 2010. And the best way to celebrate Peru's birthday is with a bottle of Pisco. 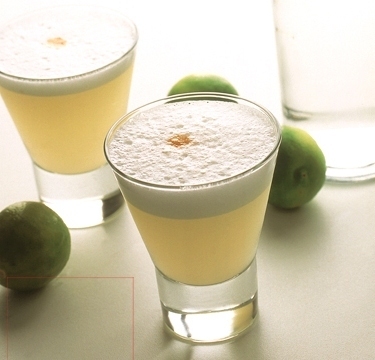 Pisco is a term from the main native language of Peru Quechua: pisqu, which means little bird. Developed by Spanish settlers in the sixteenth century, as a cheaper alternative to imported Orujo from Spain, it takes its name from the conical pottery in which it was originally aged, which was also the name of one of the sites where it was produced: Pisco, in the Viceroyalty of Peru. The first vineyards were planted in the coastal valleys in the Viceroyalty. Even though Spain imposed many restrictions on wine production and commerce, the wine-making industry developed rapidly, such as in the Corregimiento of Ica. Jon Bonne of the San Francisco Chronicle wrote - Humble pisco may find spot on top shelf. Suitcase Sticker - It Look Like You Have Lots Of Drugs In Your Suitcase! This suitcase sticker makes it look like you have lots of drugs in your suitcase!!! San Francisco Peruvian Food Festival 2010 - Festival De Comida Peruana De San Francisco 2010! This is the launch video for Festival de Comida Peruana 2010 (Festival of Peruvian Food) in San Francisco at the Civic Center Plaza July 18, 2010. "The Peruvian Food Festival 2010"
This highly anticipated event brings the best Peruvian cuisine in nothern california with over 40 different dishes & over15 of your different favorite restaurants participating. Enjoy traditional music, dances, beer, Pisco, culture, food & an awesome social gathering. "EL Blanco De La Cumbia"
"Estampas Peruana De Vladimir Vucanovich"
Here is the site of the event for the complete description - Festival de Comida Peruana 2010 in San Francisco. Video Of The Peruvian Gastronomic Festival In San Francisco 2009! Here is a cool video of the Peruvian Gastronomic Festival in San Francisco on July 26, 2009 at the big Salsa nightclub & Lounge Roccapulco. The event was such an overwhelming success that almost 5,000 people ordered various types of delicious popular Peruvian dishes like Cebiche Classico, Cebiche Limeño, Cebiche de Pescado, Lomo Saltado, Aji de Gallina, Chicha Morada, Anticuchos, etc. The outside crowd waiting to get in the festival extended almost two blocks around Mission and Army St. (Cesar Chavez St.) in the late afternoon! Here is the information for this year's event on Sunday, July 18, 2010 which will be bigger and better at San Francisco's Civic Center Plaza - Festival de Comida Peruana 2010. A screen shot of a few of the dishes from San Francisco Peruvian Cuisine Festival 2009. Colin Of Cocktail Kings Makes Pisco Cocktails In Lima, Peru! "Cocktail Kings" star Colin Asare-Appiah visited Lima, Peru and made three new Peruvian Pisco cocktails on the spot at the very chic Bar Ingles in San Isidro, Peru. Colin discovers the best lime in the world with the highest acidic juices of all the limes on Earth, el Limon Peruano de Piura called "Limon Sutil". Peruvian World Cup Girls Do Condom Ad Photo Shoot in Lima, Peru. Bikini Model Leysi Wears The Body Paint Colors Of Spain! Peruvian World Cup girls do condom ad photo shoot session n Lima, Peru. Bikini model Leysi wears the body paint colors of Peru's mother country, Spain! Screen shots of Peruvian bikini model Leysi for a World Cup 2010 condom ad campaign for Gents in Lima, Peru. Paul The Octopus Predictions For Uruguay Vs Germany! Paul The Octopus (el Pulpo Paul) predictions for Uruguay Vs Germany today, July 10, 2010. The live broadcast of the of the ORACLE at work! Britain's Telegraph wrote - World Cup 2010: Oscar Tabarez out to prove Paul the Octopus wrong.